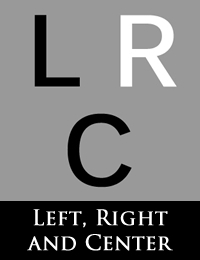 Left, Right and Center #27: Aboriginal Reconciliation? In this episode of Left, Right and Center, host Jim Chapman asks the panelists about aboriginal reconciliation and whether it is appropriate. In this episode of Left, Right and Center, host Jim Chapman asks the panelists about recent statistical reports that joblessness has decreased. In this episode of Left, Right and Center, host Jim Chapman asks the panelists about federal Progressive Conservative Party leader Jean Charest’s decision to assume the leadership of the Quebec provincial Liberal Party. Left, Right and Center #24: Should Professionals Be Unionized? In this episode of Left, Right and Center, host Jim Chapman asks the panelists whether professionals should be unionized.